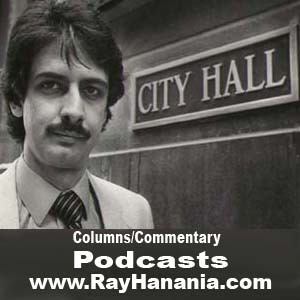 Southwest Community News Group syndicated columnist Ray Hanania joins host Bruce DuMont on Beyond the Beltway Radio Sunday, August 14 on WCGO 1590 AM Radio and on Sirius XM Radio POTUS Politics Channel 124 from 6 until 8 pm. To join the discussion, call 1-800-723-8289. You can also catch Beyond the Beltway rebroadcasts on WIND 560 AM radio from 10 to 12 pm. For more information, visit Hanania’s website at www.RayHanania.com. For information on Bruce DuMont’s show or to download his podcast, visit www.BeyondtheBetlway.com.